15 Minute Rule If someone places a bid on an item within 15 minutes of the scheduled closing time, the auction is automatically extended until there have been no bids placed for 15 minutes. All GunBroker.com auctions use the 15 Minute Rule. Absolute Auction An auction in which the item is sold to the highest bidder regardless of the amount of the bid. An absolute auction has no Reserve Price, and the starting bid is between $0.01 and $1.00. Also called a Penny Auction, 1 Cent or 1¢ Auction. Activation Fee A one-time activation fee of $1.00, charged to verify the identity of users of free email services, such as Gmail, Yahoo, AOL or other services which GunBroker.com has identified as using a loose identity verification protocol. Auction Listing A listing format which lets sellers list an item for sale, collect bids for a fixed length of time, and sell the item to the highest bidder. Buyers place a bid in an auction by entering the maximum amount they are willing to pay for the item. They bid up from the seller's Starting Bid along with other bidders. When the listing ends, the highest bidder wins the item. AutoBid A feature of GunBroker.com auctions which automatically bids on the buyer's behalf the least amount it can to win the auction (also known as a "proxy bid"). Bid Increment The least amount by which a bid must be raised for the next bid. Increments are determined by the current bid on the item, not the maximum bid entered. As the current bid increases, the bid increment increases. Bid Retraction The cancellation of a bid by a buyer during an auction. In general, a buyer cannot retract a bid once it is placed. A retraction may be allowed under special circumstances, such as accidentally entering the wrong bid amount (for example, entering $450.00 rather than $4.50). Blocked Bidder A user who is unable to bid or buy on GunBroker.com for one of these reasons: (1) Sellers have blocked bidders or buyers from purchasing their listing based on certain factors, such as their previous experience with the buyer, or the bidder's buying history on GunBroker.com; or, (2) bidding privileges have been suspended as a result of a non-paying bidder report. BuyNow Price When listing an item, the seller can optionally specify a BuyNow price, which will be publicly displayed in the item listing. If the seller specifies a BuyNow price, any bidder can use the BuyNow option to purchase the item immediately at that price, thereby ending the auction. Card Security Code A three or four-digit number located on the credit card to provide an extra measure of security when making online purchases. Checkout An optional feature which allows sellers to accept payments through GunBroker.com. Checkout allows buyers and sellers to communicate through the GunBroker.com website about shipping, payment method, and FFL information after the listing ends. Escrow A service which holds the buyer's money until the buyer receives and inspects the item. Once the buyer inspects the item, the service releases payment to the seller. Factory New Describes the condition of an item which has not previously been sold at retail, and is in the exact same condition as the current year factory production. Federal Firearms License (FFL) A license in the United States that enables an individual or a company to manage the transfer of firearms ownership between individuals. Buyers should either have an FFL or find an FFL dealer in their area to take delivery and manage the transfer of the item for them. An FFL badge is displayed for users who have registered with GunBroker.com as a Federal Firearms License (FFL) holder. Feedback A process which allows GunBroker.com members to enter a rating and comments about buyers and/or sellers based upon their purchase experience with a seller or their sales experience with a buyer. Feedback Rating A grade assigned to buyers and sellers by other buyers and sellers based upon their experience with the buy/sell transaction. Displayed next to the user's name, the grade represents the average of all feedback entered for this user. "NR" means the individual does not yet have any feedback, meaning he is most likely a new user. Final Value Fee A fee assessed to sellers when their item is sold and the listing closes. The amount is based on the price at which the item is sold. Fixed Price A listing format which allows sellers to list items at a set price. Buyers can purchase the item immediately at this set price, and there is no bidding. Gold Member A member of the GunBroker.com premium membership program. Gold Member benefits include advanced access to the Deal of the Day and special offers from industry suppliers. Minimum Bid The least bid amount you can enter on an item. Minimum bid would equal the current bid price plus the bid Increment. New Old Stock Describes the condition of an item which is in brand new condition, never used or resold, but has been in stock for some time; usually not the same as the current year production model. Phishing Email Fraudulent emails, designed to trick the user into giving out personal information or sending funds, or to exploit the user's browser. These emails may have attachments that, when clicked, can install malicious software on your computer. Reserve Price The least amount the seller is willing to sell the item for. The Reserve Price is hidden from bidders. A bidder can place a bid that is lower than the Reserve Price, but the item will not be sold until the bidding meets or exceeds the Reserve Price. Sandbox A GunBroker.com test environment for Application Programming Interface (API) development. The Sandbox allows users to perform the main selling, bidding, and buying functions in a test mode. Shill Bidding Bidding by anyone, including family and friends, for the purpose of increasing an item's price. Shill bidding is not allowed on GunBroker.com. Starting Bid The least amount a bidder is allowed to bid in an auction, and the minimum amount the seller is willing to accept for the item. It is the price at which the bidding begins. 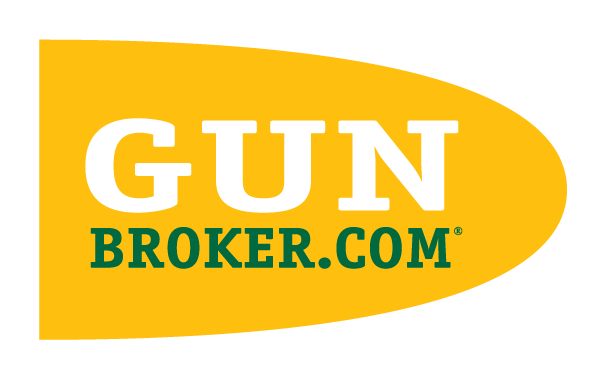 Take a Shot GunBroker’s selling platform allowing the seller to select specific fixed price items in which they are willing to entertain buying offers. Top Seller A special GunBroker.com designation for the Top 100 Sellers, the Top 25 Sellers, and the Top 10 Sellers based upon total sales for the last calendar year. A Top Seller badge is displayed next to the seller's user name. Used Describes the condition of an item which has been previously owned; includes collectibles. User Agreement The GunBroker.com Agreement which defines the terms under which GunBroker.com offers members access to GunBroker.com services. All registered members must agree to these terms before they can bid on, buy, or sell items, or use any other GunBroker.com service. Verification Fee A one-time verification fee of $2.00 assessed to sellers to complete an extended verification check before listing items. Verified Member A GunBroker.com member who has passed the extended user verification security screening. Verified Members are designated by a green check mark next to their user name.